The astonishing combo will be back soon with a big project again. The combo which is widely appreaciated with their previous films Kaakka Kaakka & Vaaranam Aayiram which were become the milestones in both of celebrity’s career will back soon with another project. ”, and they even done the Pooja for the film. Unfortunately, due to some problems and misunderstanding, Suriya himself revealed that he is going to drop this project by publishing letter to the media. Goutham Vasudev Menon got very upset on this and got angry with Surya and stated that “he may not do any project with Suriya anymore”. It was a huge disappointment for Suriya as well as GVM fans. But now time cured the wounds. On a special interview with a television channel on Diwali, Goutham Menon himself stated that “He don’t want to miss Surya and the anger is just like between the friends, and they are ready for the new fresh project”. 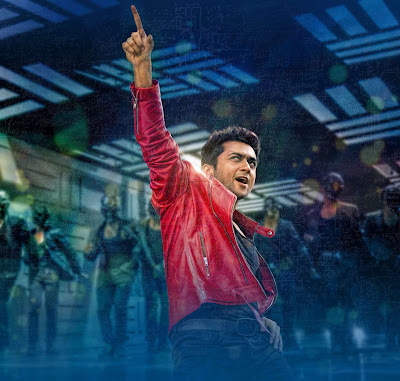 So, It’s time to cheer, the stunning combo will back again, and we can see a full-throttled performance of our favourite Surya just like in “VaaranamAayiram”. If anyone need the Download link of video, please Contact Us.